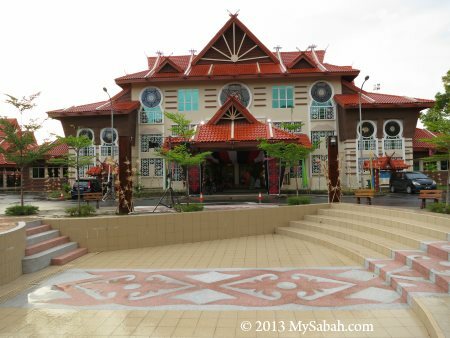 What is the landmark building of Sabah? 99 out of 100 Sabahans will say Yayasan Sabah Tower (officially known as Menara Tun Mustapha). 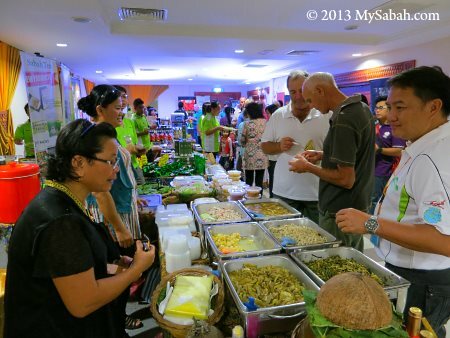 For 36 years, Yayasan Sabah Tower has been “representing” Sabah. 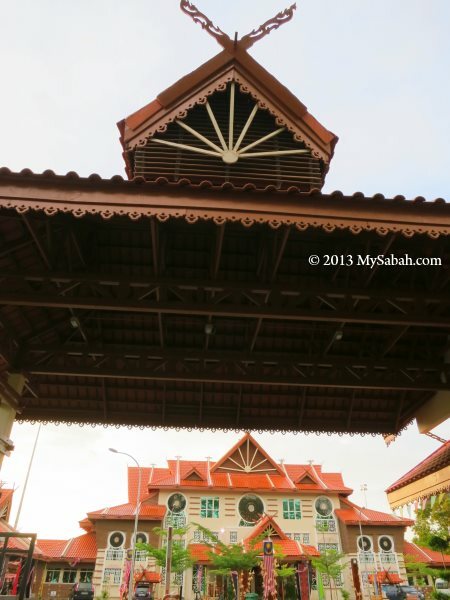 It is tall, beautiful and unique, but it is lack of true Sabah feature. Hey, KL and Sarawak have built the taller Twin Tower and Wisma Sanyan in 1999 and 2001 respectively, so this old building is no longer impressive now..
How about JKKN Sabah building? 99 out of 100 Sabahans would say, “Huh? 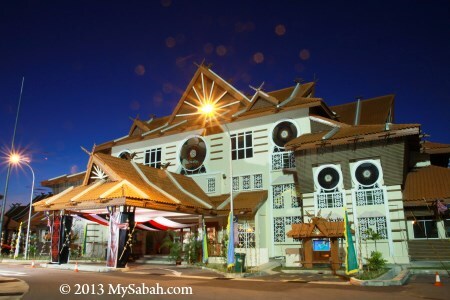 What’s that?” Personally I think JKKN Sabah building is a marriage of modern and traditional architecture. 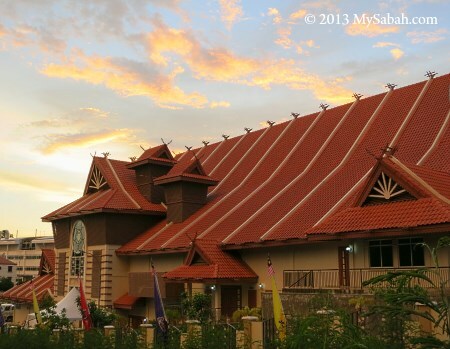 If you are from Sabah, you would find this building somewhat familiar. 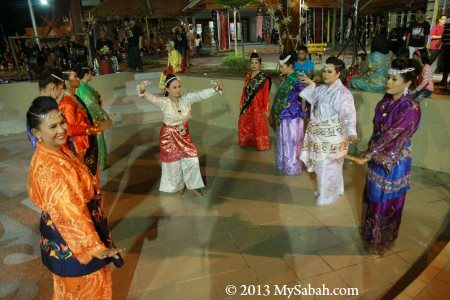 Most big building of Sabah is ugly “square-square” cheap design, so I’m happy to see a new one that carries some cultural elements of Sabah. 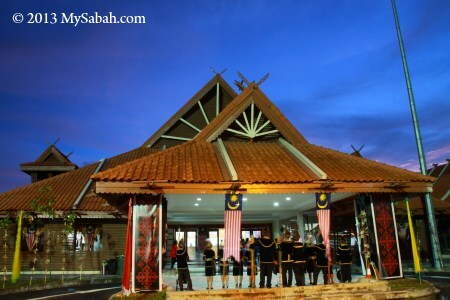 JKKN stands for Jabatan Kebudayaan dan Kesenian Negara, a federal department (under Ministry of Tourism and Culture Malaysia) that funds and builds JKKN Sabah Complex. Some also calls the building JKKNS Complex. 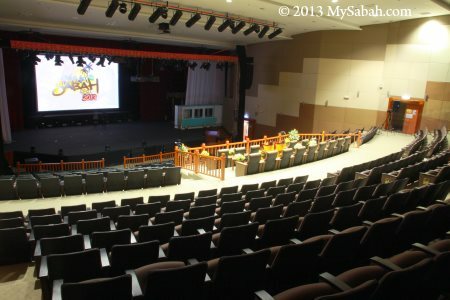 Taking a space of 1.3 hectare, JKKN Sabah Complex is constructed under 9th Malaysian Plan and opens in March 2012. 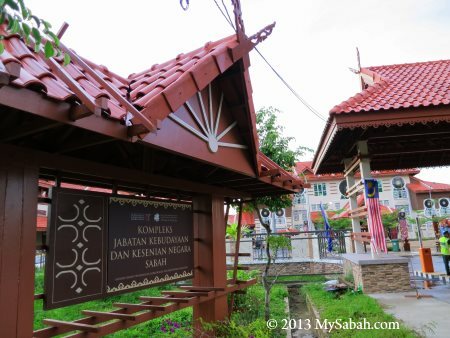 The Complex costs RM20.4 Millions (≈USD6.8 millions) and over 4 years to build. JKKNS Complex is more than a landmark building though. 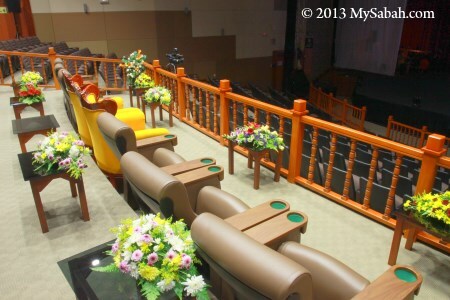 Equipped with auditorium, studios, etc., it is an ideal place to hold small to mid scale events. 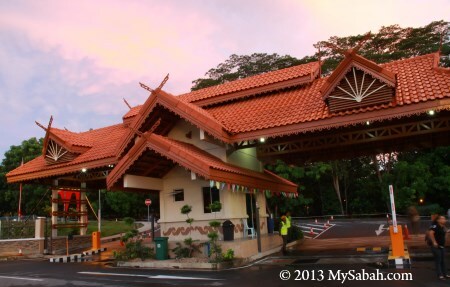 Let’s take a closer look of JKKN Sabah Complex..
At the entrance of this complex, you already can see the Sabah features at the gate. Pic: the roof that looks like top of the Bonggi house. 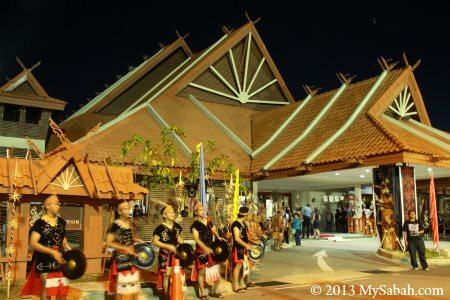 Besides the roof, you also can find the ethnic motif of Semporna Sea Bajau and Iranun (known as tudjah and layang-layang) in the Auditorium building of JKKN Sabah Complex. .
Pic: the annual Sabah Fest were hosted in this auditorium twice. 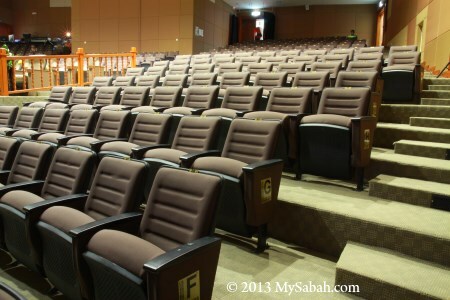 The slope layout of seat arrangement looks just like cinema, so the audiences in front won’t block your view. 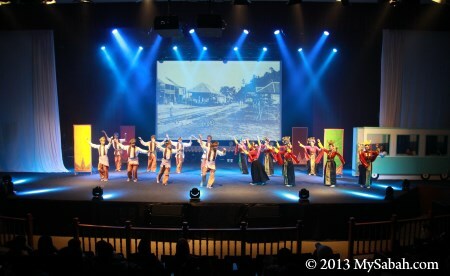 The stage is not really big but it is good enough for most performance such as opera, as Sabah seldom has big shows with thousands of audiences. The Administration Building is next to the Auditorium. Its window design is inspired by rafflesia, the largest flower in Borneo, the color glasses are imported from Australia. 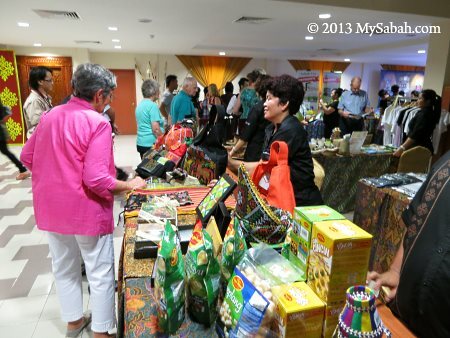 The spacious hall in ground floor allows you to organise mini-exhibition. It is not a problem to accommodate about 15 small boothes. The ceiling is a bit low, so you can’t display huge item. 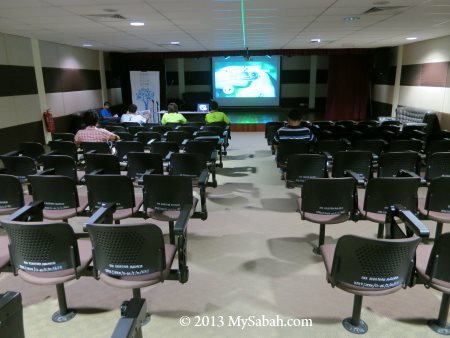 In ground floor there is a seminar room that can host 95 people. 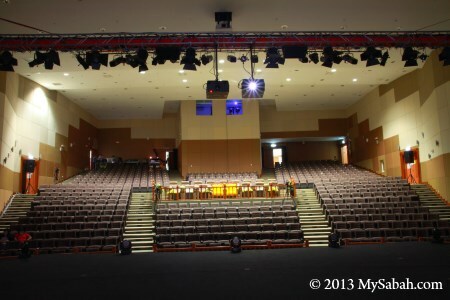 They also have audio visual room (40 seats), dance studios, music studio, Gasing playfield and conference room. 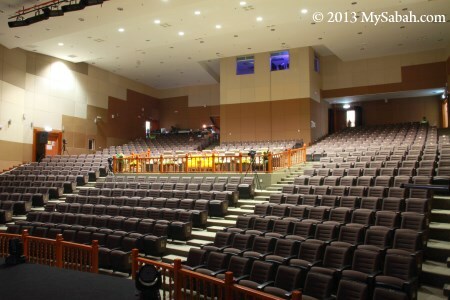 There is an outdoor stage for small shows in good weather. 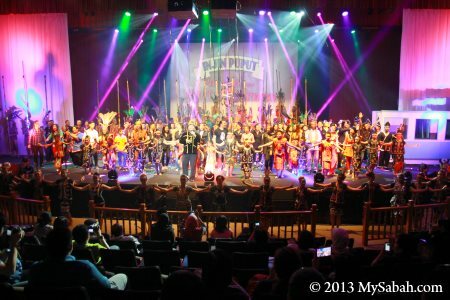 The audiences can sit around in the open space, and even participate in your performance. 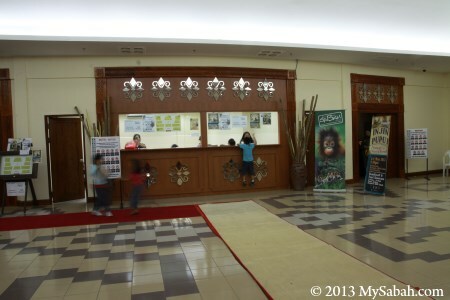 Where is JKKNS (JKKN Sabah)? 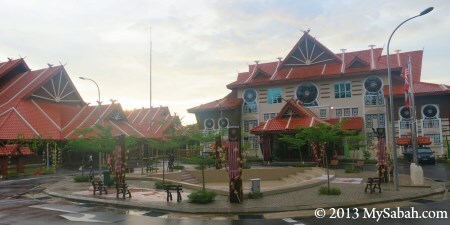 Address: Jalan Tasik, KM 4, Jalan Penampang, Kota Kinabalu, Sabah, Malaysia. 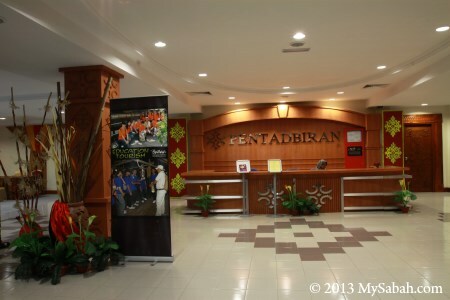 Overall, JKKN Sabah Complex is a good location to organise functions. However, there is only a dozen of parking spaces available there. 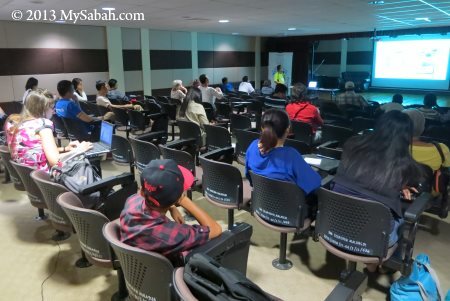 Usually the event organisers would advise you to park your car at neighbouring Sabah State Library, which has about 100 free parking slots after its opening hours. Another thing JKKNS needs the most is a good and marketable name. JKKN Sabah Complex is quite a mouthful and hard to memorize.